We didn’t request where we wanted to serve our mission, but I think God knew what He was doing when He called us to Hawaii! This week was a tender mercy for us, getting to see some of our family and lots of demonstrators and their families. I’ll blog about the incentive trip tomorrow, but tonight I want to focus a little on family. Although we didn’t get to spend as much time as we would have liked (I don’t know if I can ever get enough of them! ), we felt so blessed to spend some precious time with our family. During the days, they were usually with demonstrators on excursions or at the pool while we fulfilled our mission responsibilities. A few of the evenings we ate dinner together, and on Wednesday, after meeting with demonstrators and their families at the Polynesian Cultural Center, we took the opportunity to attend the Laie Temple with our girls and their husbands. It was a sweet experience…one we’ll always remember. 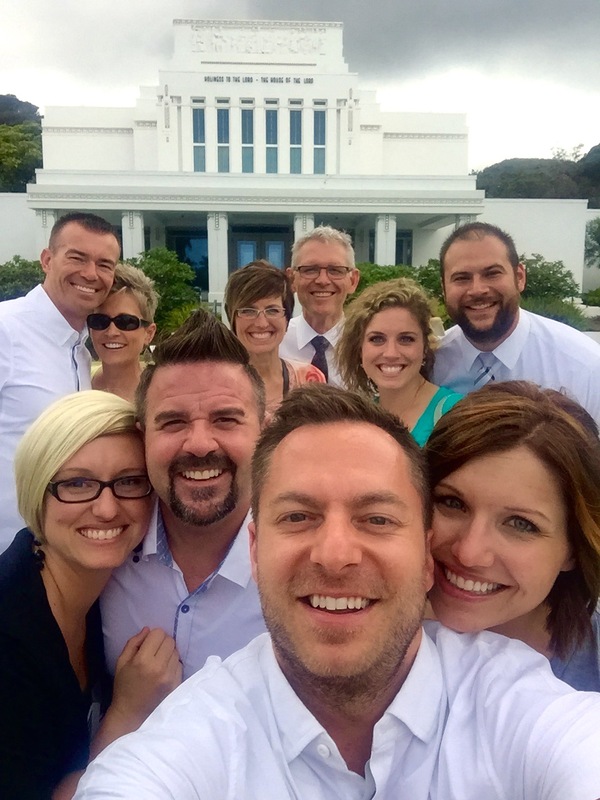 We now understand better why missionary’s parents are asked to not visit their children while on their missions. It was hard to say good-bye tonight! Thankfully we have a busy week ahead and hopefully won’t have too much time to miss them…too much!